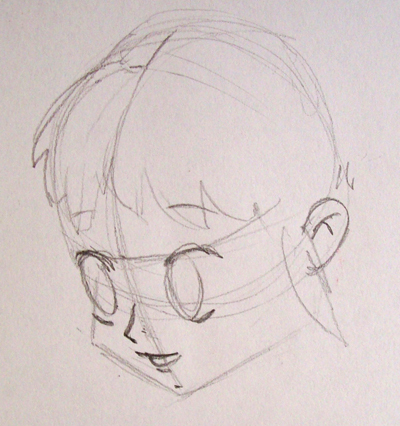 The girl's face is beginning to take shape. 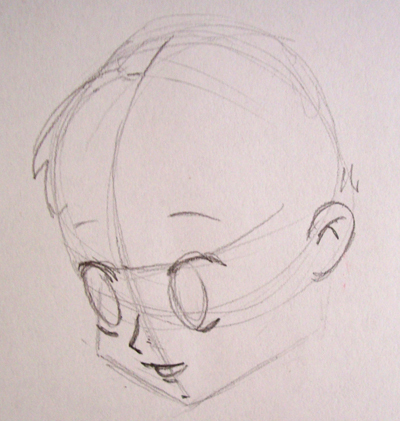 I start placing her hair. She will have bangs over her forehead, and a pair of ponytails. I draw a hair strand in front of her ear. This is common in Japanese pictures.